In ceremonies this week in College Station, longtime Texas A&M International University (TAMIU) professor of Spanish and Creative Writing, Dr. José J. Cardona-López, was one of 12 faculty members and 10 agency service, extension or research professionals within the A&M System designated as Regents Professors and Regents Fellows for 2016-2017 by The Texas A&M University System Board of Regents. Charles Schwartz, chairman of the Board of Regents, said the newest Regents Professors and Regents Fellows are vital members of the Texas A&M System family who bring with them unique skills and perspectives. Dr. Cardona-López said he is proud to receive the honor. Originally from Palmira, Colombia, Cardona-López earned his Ph.D. in Spanish from the University of Kentucky and an M.A. in Spanish from the University of Louisville in Louisville, KY. His B.S. in agricultural engineering was earned at the National University in Palmira. 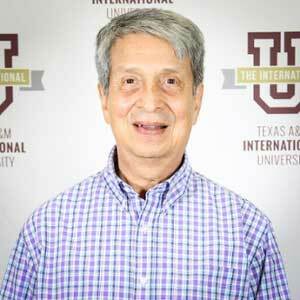 He has been a member of the TAMIU faculty since 1997. The author of the internationally renowned novel, “Sueños para una siesta” (Dreams for a Nap) and several short story books, he received the prestigious “Laurel Trilce de Oro” (Golden Laurel Trilce), a Peruvian Award for his Lifelong Contribution to Literature, in 2015. His book, Teoría y práctica de la nouvelle (Theory and Practice of the Nouvelle), is devoted to the study and discussion of the most important theoretical approaches to the "short novel" or nouvelle, a narrative genre that presently is having a revival in the United States and several Hispanic countries. His articles and essays on the Spanish American literature have appeared in prestigious academic journals. His short story books include “Al otro lado del acaso” (The Other Side of Perhaps), “La puerta del espejo” (The Door of the Mirror), “Todo es adrede” (Everything is Deliberate), and “Siete y tres nueve” (Seven and Three Nine). In 2014, he published his short novel, entitled, Mercedes, in the form of an e-book. Some of his short stories have been included in anthologies published in Canada, Colombia, Spain, the United States and Perú. Short stories and micro-fictions of him have appeared in printed and electronic magazines from Colombia and abroad. The selection process for the Regents awards begins with a call for nominations from the Chancellor, after which an internal selection committee is formed within each institution or agency. Final nominations are put forth to the chief executive officer of each respective entity. They are then subject to a System-level review consisting of academic vice chancellors and past recipients of the awards. Finally, nominations are forwarded to the Chancellor and the Board for final approval. To date, 224 Texas A&M System faculty members have been recognized with the Regents Professor Award and 135 agency professionals have received the Regents Fellow Service Award. Eight TAMIU professors have received the Regents Professor Award.